Maybe I have summer on the brain (who doesn’t?! ), but I was thinking about the classic kids’ game Would You Rather?, which we used to play at summer camp. And that made me think that a quick game of Would You Rather would be a great way to do this week’s blog prize! So here we go, it’s a llamas vs. hedgehogs showdown. Which of these would you rather win? A Couch for Llama, the story of a family’s old sofa and a llama in need of snooze. Prickly Hedgehogs!, which follows Hedgehog and her hoglets on their nocturnal adventures. Llamas are popular but that hedgehog is so cute…. It’s a tough call! Which would you rather win? Put your answer in a comment and submit it to this blog by 11:59 pm on Wednesday, June 20. One lucky teacher will be randomly selected to win her top pick! Enough with the tough choices. Here are some fun freebies—and you can check them all out, no decisions required! Students with intellectual disabilities are welcome in your school. But are they truly part of the school? Do they join clubs? Take leadership roles? Offer opinions? Shape decisions? The Special Olympics Unified Champion Schools program is all about building friendships that last between students with and without intellectual disabilities and creating a truly inclusive environment. Learn more with the new Elementary Playbook, just unveiled on the Special Olympics site: resources.specialolympics.org/playbook-series/. Win the classroom of your dreams. 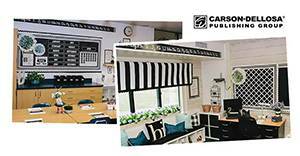 Three lucky teachers will win Carson-Dellosa gift cards and VISA gift cards with a combined value of up to $600. Ready to enter? Click here. 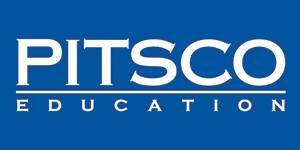 Every month Pitsco Education thanks one PreK-postsecondary teacher by awarding a $350 gift certificate for items at the website. You’ll find thousands of STEM kits, equipment, and hands-on activities. Apply or nominate someone else at pitsco.com/Experience-Pitsco/Grants-and-Funding. Llamas, hedgehogs, llamas, hedgehogs. It’s difficult to decide! PS: Diane has her First Friday giveaway going on now. Click here to enter. They are both so cute; but in the end, I choose Prickly Hedgehogs. I like the fun facts! Good reads,but I pick- A Couch For Llama. What a tough decision …. both books sound amazing. I guess in a pinch I would rather have “A Couch for Llama” because my daughter works as a ranchhand and there are two llamas there …. Dolly and Denny, they are brother and sister. A Couch for Llama, is my choice. I like the story line and the “sharing” idea, there’s something for everyone. Prickly Hedgehogs…who can resist a cute hedgehog! A Couch for Llama because time on the couch sounds heavenly right now – plus that llama is irresistible! I think I’ll go with the hedgehog. One of my friends recently got one as a pet. I enjoy reading her stories and seeing the pictures of her hedgehog. I love hedgehogs!! They’re just so darn cute!! While both books sound great, I’ve got to go with A Couch for Llama. I think hedgehogs are so cute! A llama is a llama but a hedgehog is a miniature porcupine with a less prickly disposition. I think it’s a tie right now. Will llamas prevail? Or is it hedgehogs for the win? Too close to call! Prickly Hedgehogs! ???? Thanks for the giveaway! Prickly Hedgehogs! In the fall I read the Very Helpful Hedgehog by Rosie Wellesley. Prickly Hedgehogs would be a great book to pair it with! I am excited to read this book. Thank you! Prickly Hedgehogs would be my choice. It is a great combination of story and fact. I love Llama Llama books. I’m going to say Couch for Llama. That’s a hard decision. I really can’t pick. They both sound like awesome books. I’d be happy with either. Thanks. There is something about Llamas that my son adores. A Couch for Llama! I love hedgehogs and the life and adventures would be so much more fun. Although they both sound like really cute stories, I would pick the hedgehog story. Our class sends home a stuffed hedgehog with a child each week for their “Adventures with Howie the Hedgehog” and this book would be excellent to include. I would have to pick the llama!! The children in my program choose A couch for Llama!! A Couch for Llama. I know my kids would laugh just looking at the cover. I think “Prickly Hedgehogs! ” would be best for my children. I would choose the Hedgehog! Prickly hedgehog!!!!! So adorable! I love all things nature, and my science students would benefit. Prickly Hedgehogs! This would go with our animal unit. I would definitely choose hedgehogs, I will be starting a unit about “Nocturnal Animals” this fall. Prickly Hedgehogs because they are weird looking and my niece has one I could borrow as I read the book to my students. 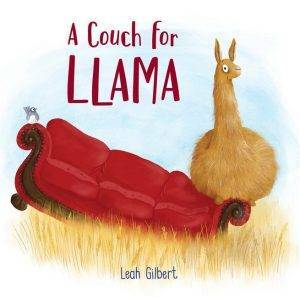 A couch for llama, it just seems like a really cute book and the face he’s makeing has me curious to know how this story goes! A Couch for Llama! I haven’t read it but it looks so cute. I think hedgehogs. They are so cute!!!! Both so cute!! Prickly Hedgehogs though, for me! This is a hard choice, but I would have to say A Couch for Llama!! I would rather win the Prickly Hedgehogs book. A friend of mine had a hedgehog and he was the most adorable little animal. Prickly Hedgehogs, way too cute! Geez, I would like either one! I guess the Llama one.